This video of "Bring Me the Disco King" by David Bowie popped on my Facebook wall the other day. This is one of those amazing videos that makes you stop your day, run up and watch it on the home theater system over and over. It's from his Reality tour and was "recorded at Hammersmith Riverside Studios on September 8, 2003." Besides being an incredible performance, what struck me about it was that at the end of the song, where there is an extended piano solo by Mike Garson – Bowie moves to the back of the stage and just sits down and drinks in Mike's piano work. Note – there is a DVD of this tour recorded in 5.1 from a different night in Ireland. 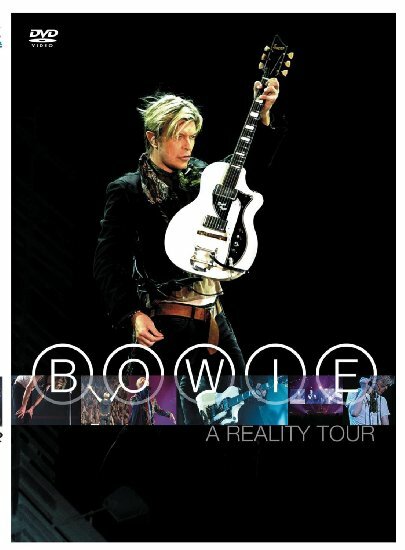 Commemorating his first major world tour in nearly a decade, DAVID BOWIE: A REALITY TOUR is a career-spanning event filmed at the Point Depot in Dublin, Ireland. There are 30 songs in total capturing every phase of Bowie's illustrious career. A 12-page color booklet is included. Watching this first video led me to find and "like" Mike Garson's facebook page – https://www.facebook.com/mikegarson. A few posts down Mike posted another video with a comment about how Bowie "LISTENED" with no ego or agenda. This is truly a "less is more" piece – so deep, sparse and impactful. David had respect for the MUSIC. Notice at the end when he just walked to the piano and LISTENED with no ego or agenda. He just enjoyed the music. When I was performing this with him, I was so absorbed with the music that I didn't notice he was watching. I'm not sure if I'll ever really, fully be able to appreciate the magic we made in those 1,000 live shows. Thank you, David. Here is the video he was referencing, but I think his sentiments are revealed even more in the first video – David Bowie ~ The Loneliest Guy ~ Live 2003 on TV @ Parkinson Show. 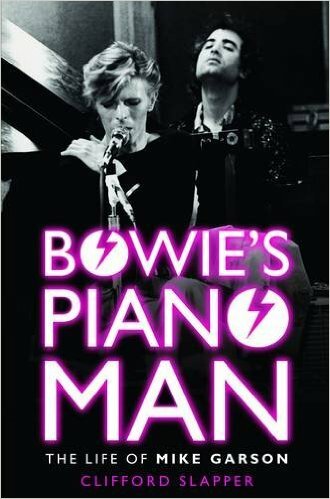 This led me to discover the book Bowie's Piano Man: The Life of Mike Garson which is definitely going on my reading list! First-ever biography of Mike Garson, long-term pianist with David Bowie, who has played on 19 Bowie albums. Garson is Bowie's most prolific band member. The book is based on in-depth long conversations with Garson himself as well as interviews with many of those he has worked with, such as Tony Visconti, Earl Slick, Trent Reznor, Gail Ann Dorsey. Gerry Leonard and Maggi Ronson. It also has over 50 photographs, many never seen before, of Garson with Bowie and others. This book seeks to shine a spotlight on one of the musicians who has contributed hugely, though often without full recognition until now, to modern musical history, especially through helping to mould the sound of classic albums like Aladdin Sane by David Bowie. Trent Reznor Talks About His Score for "Gone Girl"